Leon Dabo was a tonalist landscape artist best known for his paintings of New York, particularly the Hudson Valley. Born in France, his family moved to Detroit, Michigan in 1870 to escape the Franco-Prussian War. Dabo's father, a professor of aesthetics and a classical scholar, supplemented Leon's formal education with Latin, French, and drawing. After his father's death in 1883, the Dabo family moved to New York City, where Leon worked as an architectural designer. He then became a student of John LaFarge, and later, with LaFarge's help, studied in Paris with Pierre Puvis de Chavannes and at the École nationale supérieure des arts décoratifs. He also studied part-time at the Académie Colarossi and the École des Beaux-Arts. Dabo spent time living in Munich, Italy, Nancy, and finally London, where he met James Abbott McNeill Whistler, who would have a profound influence on Dabo's style. When he returned to New York in 1890 he painted murals and decorative pieces. He helped organize the Armory Show in 1913, was a member of the National Academy of Design in New York and the National Art Club, and was made a Chevalier of the Legion d’Honneur in 1934. 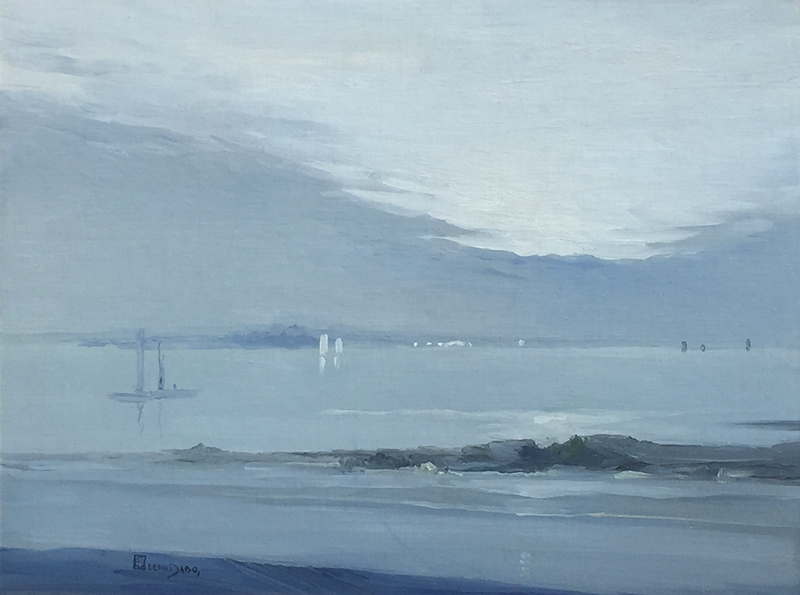 Please contact us if you are interested in selling your Leon Dabo paintings or other artwork from the 19th century and early 20th century.